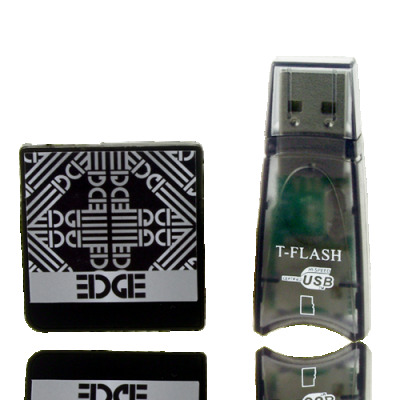 Successfully Added EDGE Developers Kit for Nintendo DS and DS Lite to your Shopping Cart. This handy little developers kit uses a micro SD card (formerly transflash) for data transfer between a computer via USB to a Nintendo DS cartridge. Main functions include direct play of Nintendo DS ROMs and homebrew from the cartridge after loading from a computer and media playback utilising a program called moonshell. A lot more information and technical support is available at http://www.edge-ds.cn Keep all your current cartridges in mint condition by loading all the game files on to this excellent backup product, great for travelers you'll only need one game cartridge! With up to 4GB of storage supported (user supplied) you'll have plenty of room for backups, media and homebrew. Start making your own DS games and easily load them to DS simple to use kit, buy now from Chinavasion at our excellent wholesale prices and sell on for great profits or simply get a sample and start gaming.